The former Gujarat chief secretary was appointed as the next Chief Election Commissioner on Tuesday succeeding Nasim Zaidi. 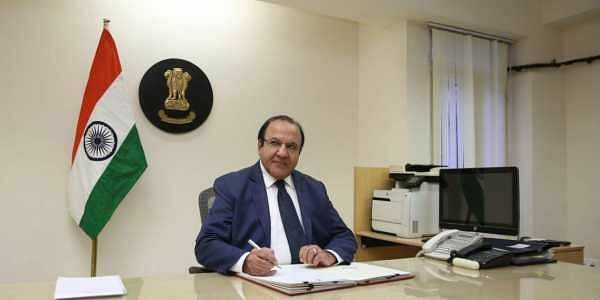 NEW DELHI: Achal Kumar Jyoti today took charge as the 21st Chief Election Commissioner and said the poll panel will vigorously pursue its commitment to hold free, fair, inclusive and credible elections. He also said that the mission of 'no voter is left behind' will continue to be his priority even as focus area will be to actively promote e-governance for holding state and Lok Sabha elections. The 64-year-old Jyoti, who was the chief secretary of Gujarat when Prime Minister Narendra Modi was the chief minister, took over as the head of the Election Commission after Nasim Zaidi demitted office yesterday. Jyoti, a 1975-batch Indian Administrative Service (IAS) officer, had joined the three-member poll panel as an election commissioner on May 8, 2015, and would be in office till January 17 next year. He retired as the Gujarat chief secretary in January 2013. A CEC or an EC can have a tenure of six years or hold office till the age of 65 years, whichever is earlier. Jyoti has also served as the Gujarat vigilance commissioner and worked in various capacities in the state, including as the chairman of the Kandla Port Trust between 1999 and 2004 and the managing director of the Sardar Sarovar Narmada Nigam Ltd (SSNNL). He was also the secretary in the industry, revenue and water supply departments in the state. The government is also soon expected to appoint one more election commissioner to fill up the vacancy caused by Zaidi's retirement.